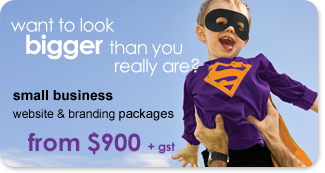 Professional graphic design makes all the difference to your business image! So let us show you how good your business can look with a fresh, professional image. A cheap, nasty design reflects just that about your business and why bother at all if your customers can't find the information they are after. You could be turning away business by the truckload! With a long background in graphic design and traditional print media, Art Attack are able to supply a full range of electronic print design services from your business cards and everyday office stationery to full colour brochures, annual reports, signage, exhibition graphics and more. We can also arrange printing of our design work at very competitive prices, or we can supply finished artwork for you to take to your own printer if you prefer. We even give you the option of electronic templates for stationery, which allows you to print on your own office printer as needed rather than pre-printing, saving you money and storage space. Art Attack has an exceptionally experienced graphic design team with not only design, but also copywriting, editing and even information design (usability) skills to meet all your design and marketing needs. Combined, our graphic design team have nearly 60 years experience! ... or call us if you have something else you would like us to quote on! To view some of the many graphic design projects we have developed, please see our Portfolio. Art Attack Web & Graphic Design Sydney is a personalised, professional one-stop-shop for your graphic design and web design needs – two challenges, one solution.